Published on October 15, 2012 in Career Humour, Funny Pictures and Mistakes To Avoid. 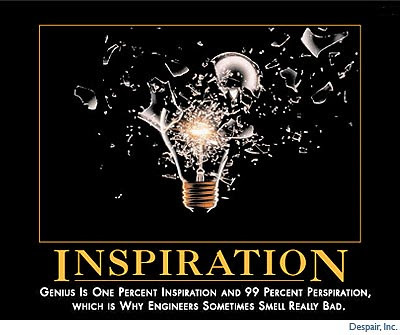 1 Comment Tags: Engineer Humor, Engineer Humour, Engineering Humor, Inpiration and Engineers. If you find images, cartoons, photos or other visual elements like this that are tastefully funny, please forward them to me so I can share them with my audience. This blog and my other blogs are primarily driven by user generated content. Jumping out of a “balloon” on the edge of space, freefalling for just under 5 minutes ,breaking the sound barrier, and landing with a parachute, pretty much defines inspirational..for me.